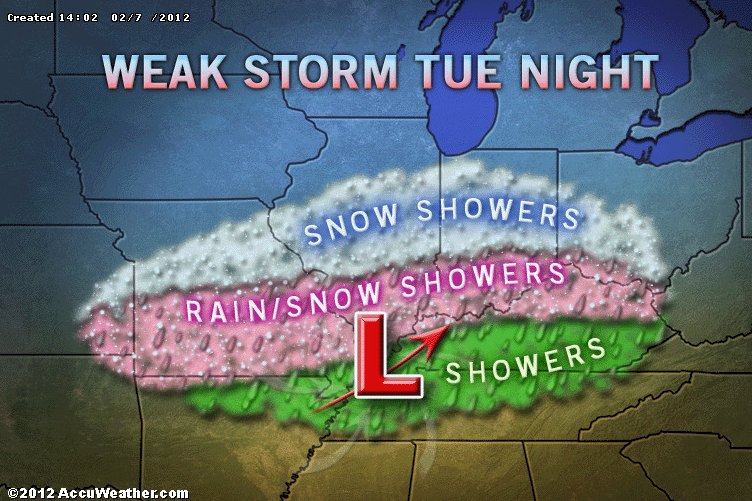 Light snow will be a possibility overnight for the St. Louis metro area east to central Indiana. Snowfall amounts will be light so no need to get too excited. A wave of energy is beginning to move out of the Rocky Mountains. This wave will provide the energy needed to produce precipitation. Temperatures are expected to drop overnight and it appears there will be a 5-6 hour window where temperatures at the surface will be below freezing to allow the snow to reach the ground. St. Louis metro - Starting around 10:30pm-12:00am. Ending around 6:00am. Indianapolis - Starting around 3:30am-5:00am. Ending around 10:00am. 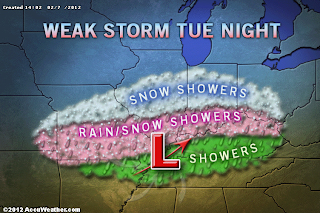 Times listed are for when the brunt of the precipitation will fall. There will likely be some precipitation (rain and/or snow) falling before the times listed above. Bottom line... Nothing to get concerned about. On my "Freak-Out-Meter" I'd put it at 0.5 out of 10. You're just brimming with good news!